Up to this point, Duke has never shown any interest in hamburgers. But this weekend he kept talking about it, so I knew I had to make some this week for him. 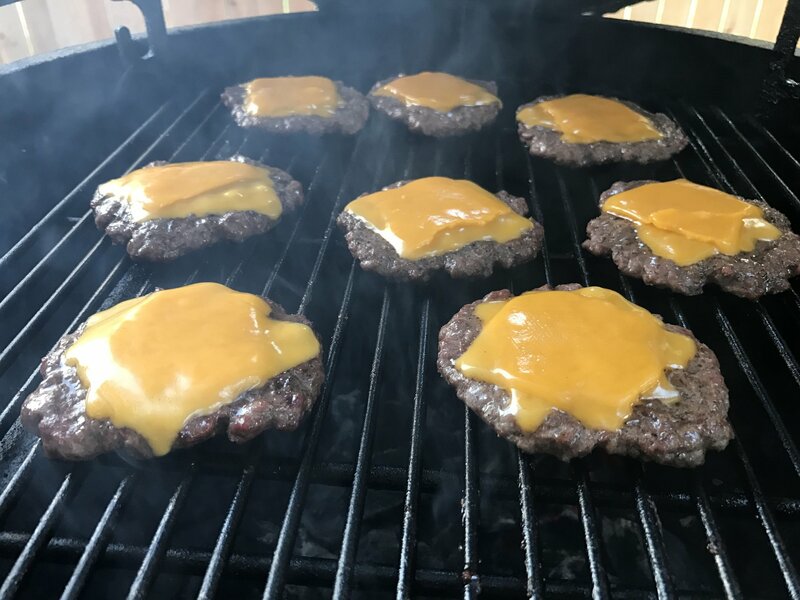 I kept the sliders simple, 2 oz of 80/20 and some salt and pepper and topped with cheddar cheese. His got some ketchup on it along with some pickles. The kid will absolutely devour pickles. He’d eat the whole jar if we let him. It must be the Czech in him from his Mom’s side. Mine got a little more stuff. Sometimes, its hard to get a kid to eat, so when you find something they like or show an interest in, you gotta jump on it. For a minute there, I thought something was wrong with the kid. 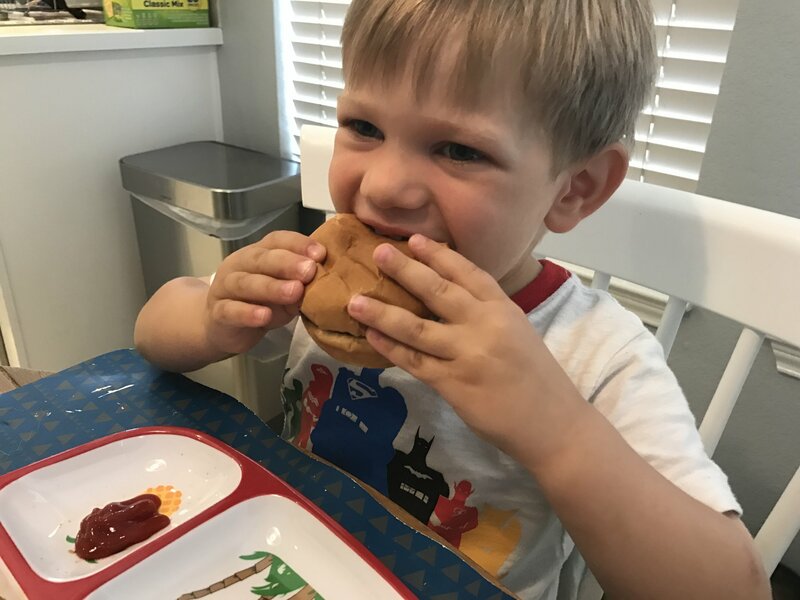 What kid doesn’t like a burger? But he polished it off! Too cute. I think you are one hell of a dad.